Germany is a land of festive celebrations for all ages & tastes. As a country renowned for its traditional culture, cuisine & classical music, Germany offers something to suit every interest. A trip to Germany for a specific event, festival celebrations, leisure activities, solace etc will always keep you entertained. This cosmopolitan country offers the plethora of multicultural activities the year round drawing visitors from around the globe. One such forthcoming festival that offers an international platform to the artists to showcase their time-based arts & videos is the Bonn Videonale Festival. People have begun to apply for Visa & book their tours to witness this unique & remarkable festival. If you desire to discover the exuberance, entertainment, special events & more in Germany, apply for Germany Visa & take a flight to this land of festive treasures. WHAT IS BONN VIDEONALE FESTIVAL? Bonn Videonale Festival is renowned as one of the world’s oldest video art festivals. It was launched in 1984 with the motive of providing a platform to stars, established & upcoming young artists of the global video-art scene. The festival successfully took place twice in a year since its launch & soon gained popularity as video-art & time-based art festival in Germany & entire Europe. Videonale served as the first astounding opportunity for many of budding artists enabling them to showcase their toil & efforts to the international public. Some of the honorary are Gary Hill, Christian Jankowski, Dara Birnbaum, Keren Cytter & Marcel Odenbach. The 13th Edition of Videonale laid emphasis on ongoing issues like conservation, copyright, exhibition definitions, themes of Urban Imagery & Documentary Approaches in video art. The 17th Edition of Bonn Videonale Festival is all set to be held in the premises of Kunstmuseum Bonn from 21st February 2019 to 14th April 2019. This German festival has invited artists from across the globe to come up with their video-art on the theme “Refracted Realities” for the competition. An international jury has been allocated who will select around 35 works to be portrayed at an exhibition at Kunstmuseum Bonn as individual presentations. The launch of 17th Edition of Videonale will be tagged along with the four-day festival program, incorporating video presentations, workshops, exhibitions, lectures and performances, discussions with the artists & master classes. Out of all the video-art presentations selected for the exhibition, one will receive the Videonale Award of the fluentum collection worth 5,000 Euro. 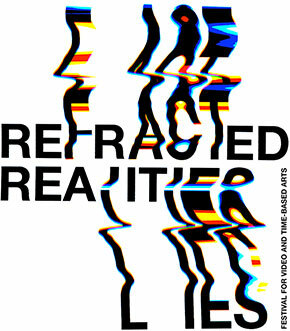 Theme: The theme for the Videonale.17 is “Refracted Realities”. Artists from across the world will showcase their creativity gravitating around this theme. Media: The Videonale.17 Competition welcomes innovative & avant-garde moving image-based works from categories: Virtual Reality Projects, Sing & Multi-channel Videos, Performances, and Video Installation/Video Sculpture Projects. Videonale on Tour: The selected 35 video-art works portrayed at Kunstmuseum Bonn Exhibition will later be showcased at other global institutions under the head “Videonale on Tour”. Bonn Videonale is an international platform that has continued to attract a large number of national & international artists. It is distinguished for an intensive exchange of ideas at the four-day festival followed by the opening of this German Festival.